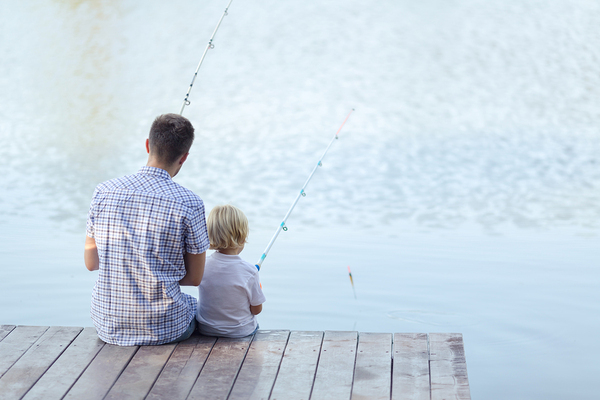 If you're into fishing, there are certainly ample opportunities to get out on the water. After all, Florida contains over 10,000 miles of fishable rivers, streams, and canals, 2,276 miles of tidal shoreline, and is home to more than 7,700 lakes. So, get out and go fish! Destin is located in the Florida Panhandle. It's known for its clear, green beaches and pristine golf courses, but it's also an incredible fishing destination. In fact, Destin calls itself the "World's Luckiest Fishing Village" and is home to the largest charter-boat fleet in Florida. It's the perfect place to take a charter boat with the family to do some offshore fishing in the Gulf of Mexico. If the open ocean isn't calling your name, there are great fishing opportunities off of the beach pier between April and October. Destin boasts some fantastic pier fishing, as well as off-shore fishing. Some local species that can be caught are cobia, king and Spanish mackerel, and bonito. Offshore fishing can see grouper, amber jack, scamp trigger fish, snapper, and cobia all year round. Disney World isn't just home to Mickey and Minnie Mouse. Suprisingly enough, there are several lakes on and off Disney's property that are full of largemouth bass. Why not take two vacations in one? You can spend a couple of days touring the theme parks and the rest of the time relaxing on a charter boat with the family and doing some fishing. Bay Lake in Disney World offers fishing charters and guides, as well as trophy largemouth bass. The best time of year to find these bass is in February. If you own a boat, Fort Lauderdale is the destination for you. With hundreds of marinas, this city is home base for countless boat owners. 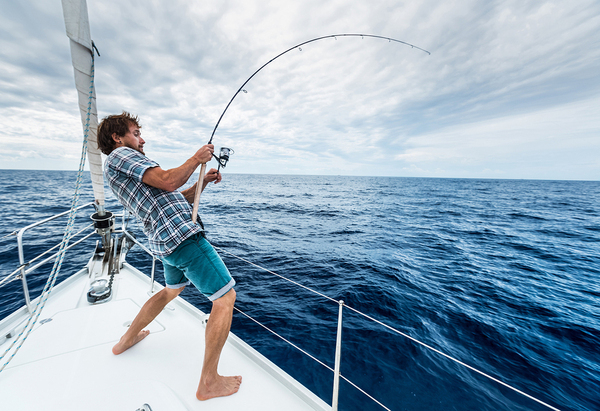 If you don't own a boat, not to worry, Fort Lauderdale has plenty of fishing charters that will take you off the coast for an off-shore fishing experience that is guaranteed to bring in some big fish. Fish species found in Fort Lauderdale include sharks, wahoo, sailfish, swordsih, snapper, groupers, and more. This is a vacation that you will have to plan well in advance, because campsites and hotels can get booked out for months; however, it's well worth it! This is one of the top Florida fishing destinations. In fact, The Florida Keys are home to some world-class deep-sea fishing. If you want to take the family to do some fishing they'll never forget, start at The Keys. Book a charter for your chance to catch a personal-record big game fish. Possible catches are prized big-game trophy fish like tuna, marlin, and sailfish. There is also plenty of reef fishing available for anglers who can't afford or prefer not to do a deep-sea charter. Also, the Seven-Mile Bridge linking the Lower and Middle Keys has been named "the longest fishing bridge in the world." With so many different fishing options, you'll want to start planning your trip now! Are you the bass fishing kind of angler? Lake Okeechobee is the premier bass fishing lake in Florida and should definitely be on your list of fishing destinations. This lake is also used often for large tournaments, like the FLW Tour and Bassmaster Elite Series. You can find resorts scattered all around the lake or stay at a local campground. Drop your luggage off and take a charter to the perfect spot to catch your world record largemouth bass. Start planning your next trip to one of these incredible Florida fishing destinations today! Contact us today about setting up a savings account for your next adventure.